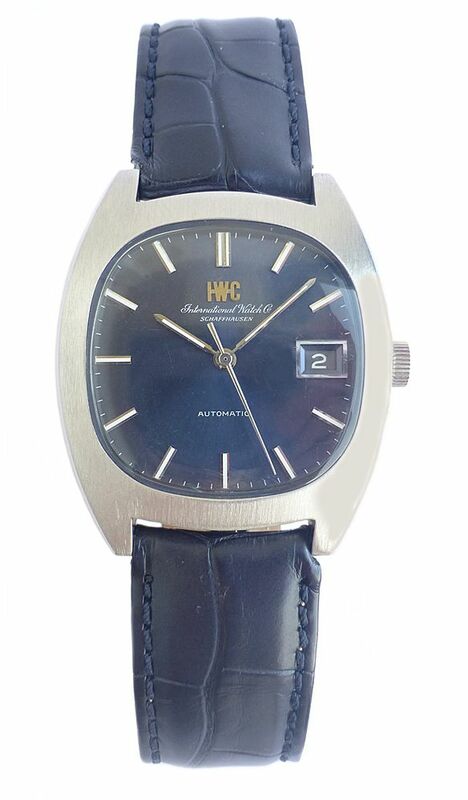 Excellent condition IWC automatic watch with calibre 8541B. 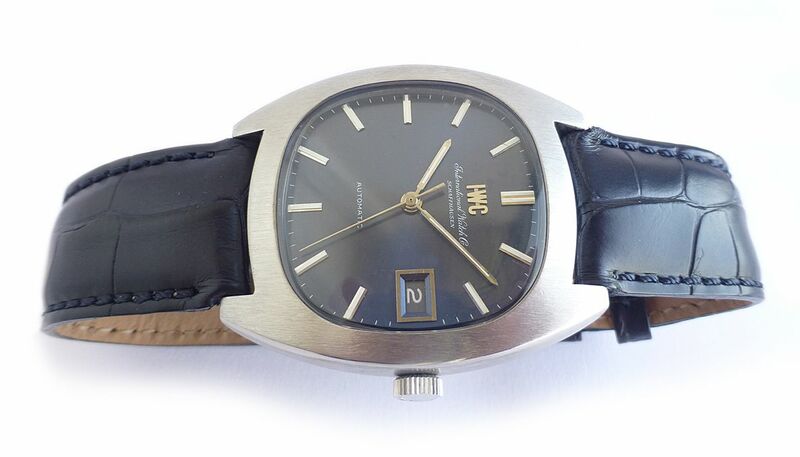 Model reference number 1872 and dates to 1970. 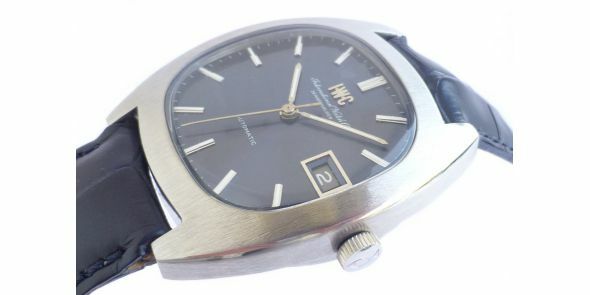 IWC have been making specialised and high quality watches in Switzerland since 1868. 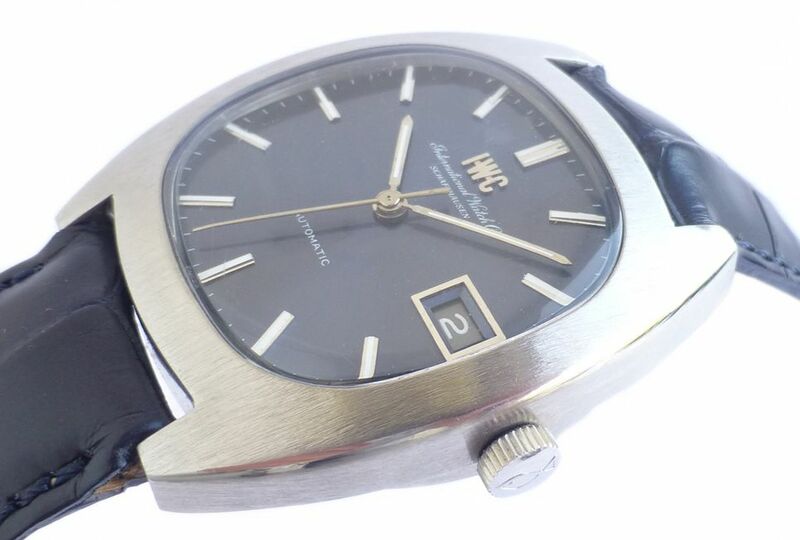 Many of the IWC vintage watches are now prized collectors items. 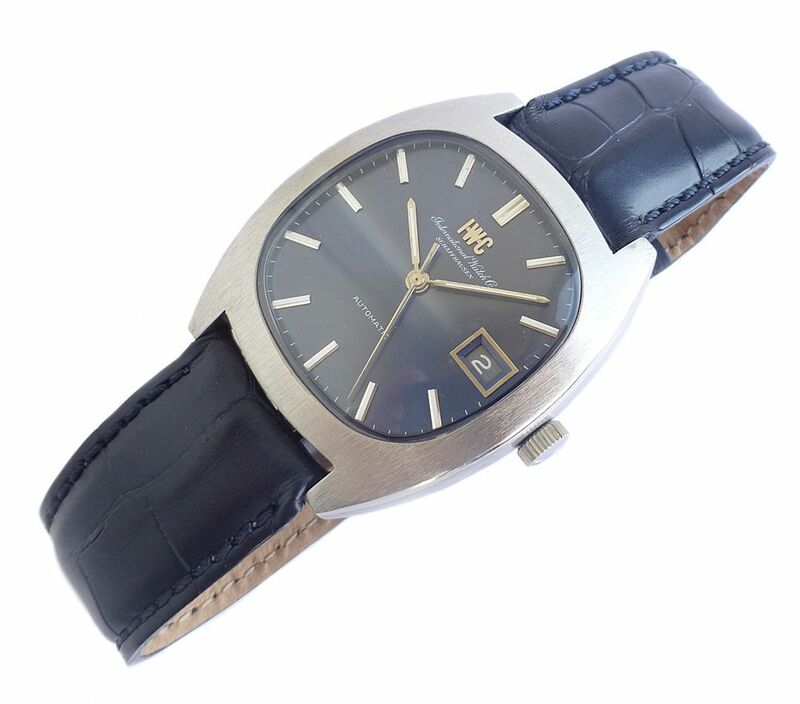 They are a company who continue to produce high quality and unique watches for a more demanding current market. 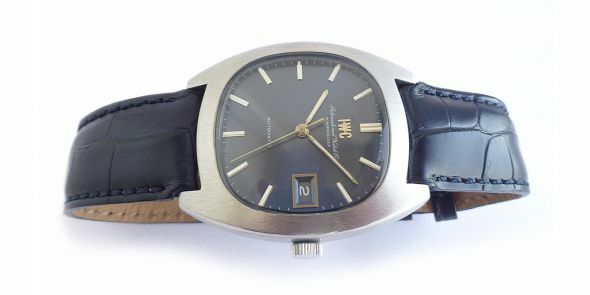 This is an excellent example of what IWC has to offer which is a beautiful automatic showing the design and quality that have made the company so famous. 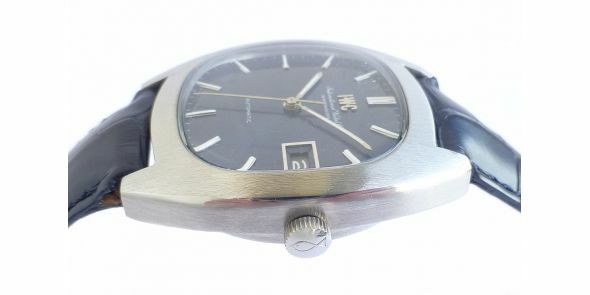 The case and dial is typical of the design of the era of the 1970's period. The case has been refurbished and has a brushed finish. 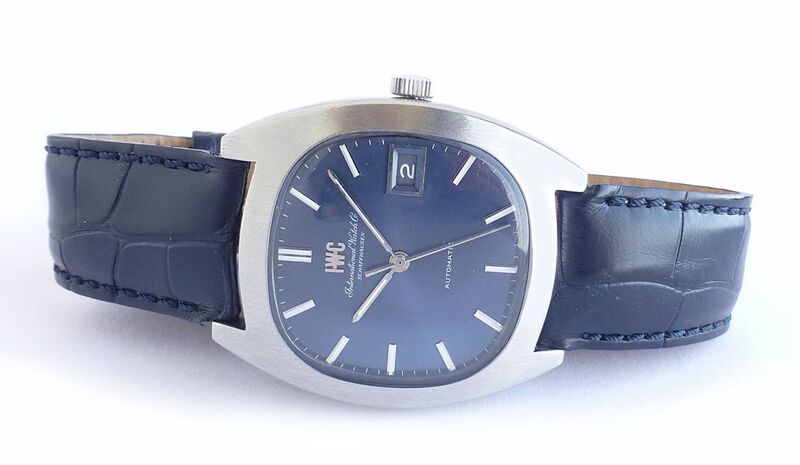 It was serviced and refurbished around 8 months ago prior to being bought by the previous owner. 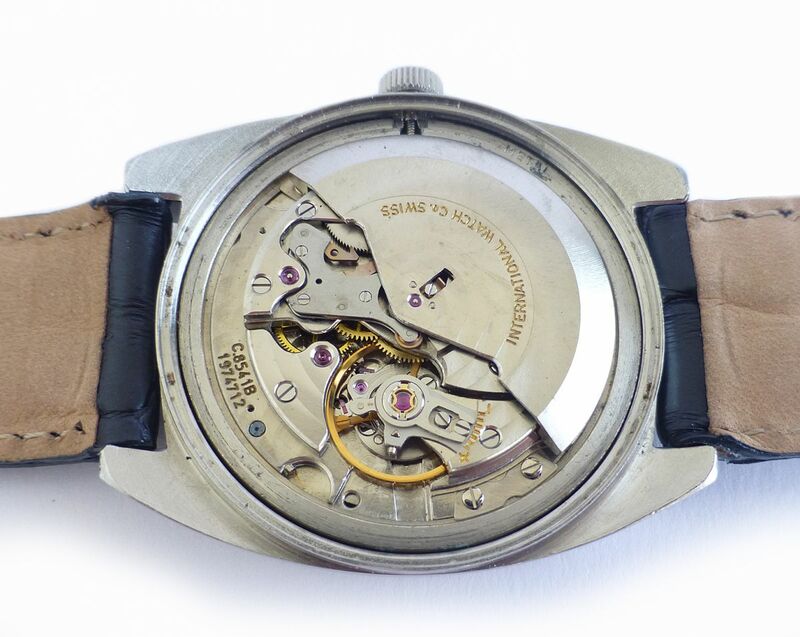 The movement, the 8541B is often regarded as one of the best movements ever made. 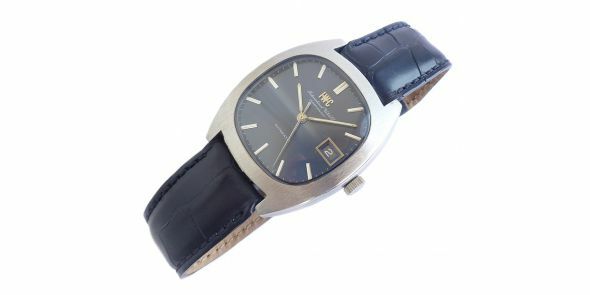 It is known for its durability, reliability and accuracy. 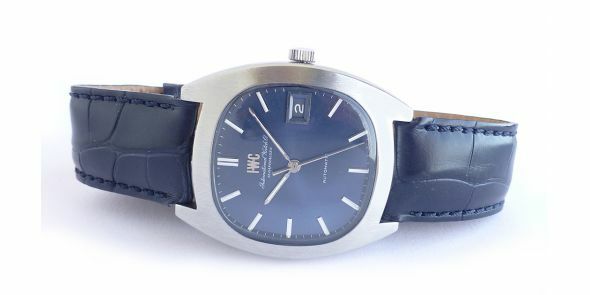 The one particularly unique feature, and perhaps the distinguishing feature of any automatic, is the winding system. 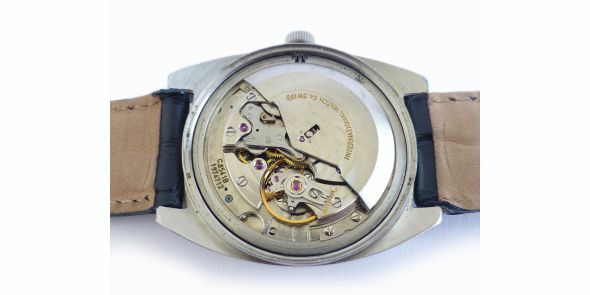 Contrary to most other watch designs, in the "Pellaton” winding system (as used in the Cal. 85xx’s and now in the new Calibre 5000) the movements of the rotor are not transmitted to a wheel train via a gear system but instead move a heart-shaped cam to activate a rocker. Two ruby rollers on the rocker ride on the cam, and the other end of the cam uses a pair of pawls to transmit the kinetic energy to a ratchet wheel with helical teeth, and from there to the winding wheels and barrel. 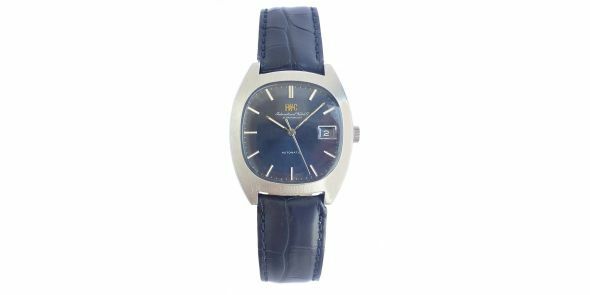 The winding system is noted for its efficiency, durability and ease of maintenance. The rotor winds bi-directionally and there is a sprung rotor mount to protect the rotor bearing from damage due to the mass of the rotor. Essentially, this part of the winding mechanism is shock resistant (the other parts of the winding system are not protected by this design, nor do they need it). Relatively few other winding systems are shock resistant. 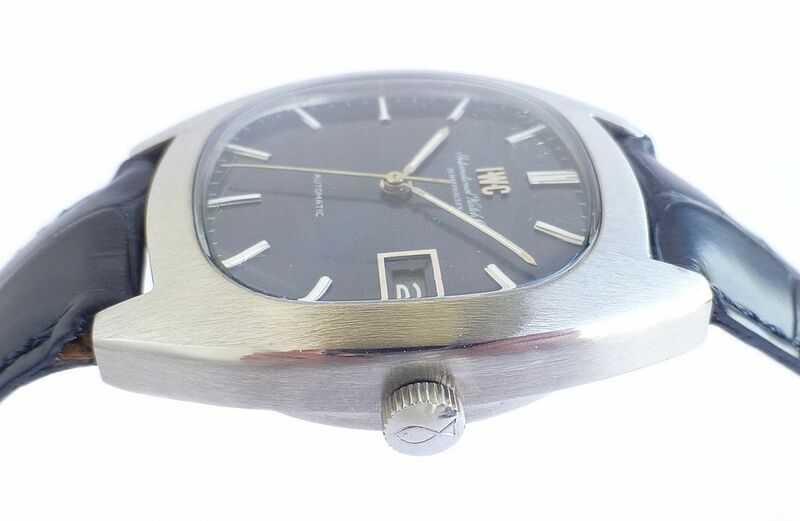 Dimensions are as follows width is 35 mm excluding crown and 37 mm including crown Lug to lug is 41 mm, Thickness is 11 mm.